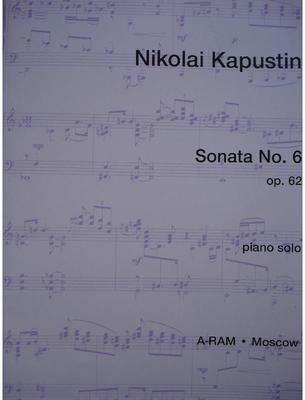 Kapustin composed his sixth Piano Sonata, op. 62, in 1991, and it is the shortest of the thirteen he has written to date. In the three-movement work, the composer expressed the great joy of human existence through a prism of nostalgia. The lively tempi and sparkling passagework of the youthful first movement usher in a particularly beautiful and nostalgic Grave; the energetic and exuberant finale, with its excursions into boogie-woogie and stride, is full of twists, turns and all other kinds of surprises. What do you want to know about Sonata No 6 op 62 by Nikolai Kapustin?